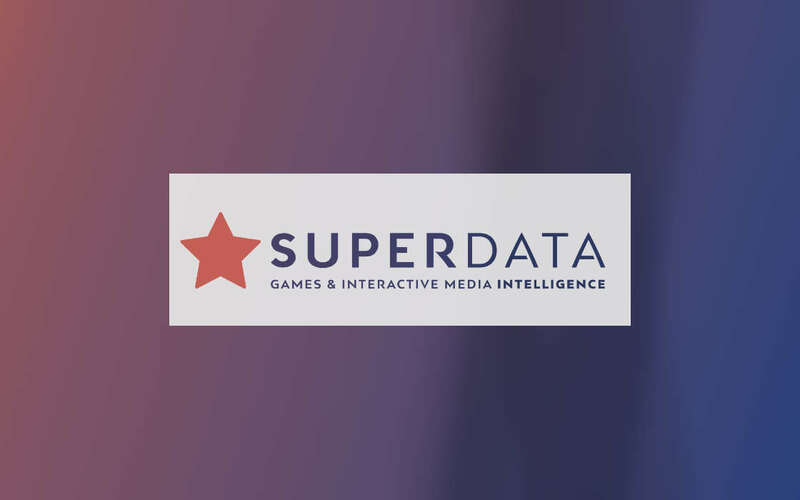 SuperData's year in review, focusing on digital gaming market and associated interactive media. Photo Credit: SuperData. Summary of the gaming market and associated interactive. Photo credit: SuperData. Revenue from digital games climbed steadily in 2018, SuperData revealed in their latest report, with the industry hitting $109.8bn or 11% year-over-year increase. There was a particular emphasis on free-to-play titles (freemium) games in 2018, with Asia generating $87.7bn and consumer spending in the region contributing 62% of all F2P revenue last year. Digital game revenue by segment in 2018. Photo credit: SuperData. Epic Games’ reputed battle royale, Fortnite, has managed to secure awareness for the F2P concept in the year, leading to a 458% overall revenue increase year-on-year, SuperData reported. SuperData noted that Fortnite has benefited from the introduction of Battle Passes, granting players to limited-time goods within the game, a concept previously used by games like Dota 2. 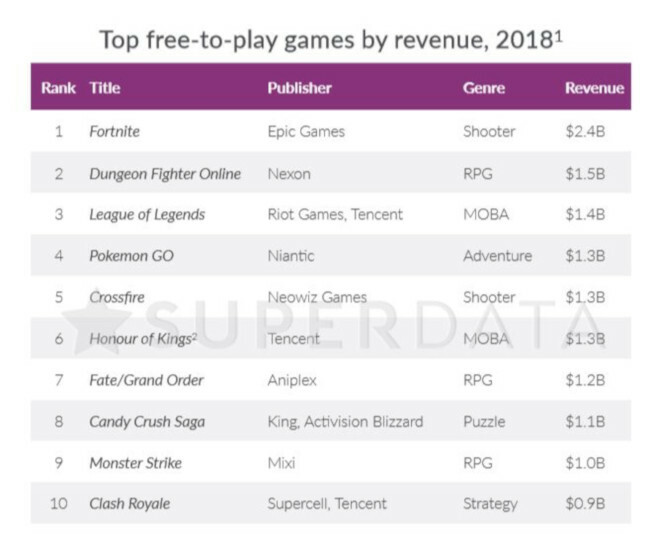 Top free-to-play titles in 2018. Photo credit: SuperData. Epic Games has remained true to one of their core tenets, i.e. that competition is healthy and games can learn from each other. Mobile games saw 18% year-on-year growth in China, with Tencent’s Honor of Kings leading the way for esports titles, having racked in $1.3bn over the period, and $3.5bn in global revenue. Premium content titles such as PUBG and the latest instalment in the CoD franchise, Black Ops 4, enjoyed significant interest in 2018. Despite the many hurdles beleaguering PUBG in 2018, the studio managed to pull over $1bn in total revenue. This constituted a 19%-increase year-on-year. 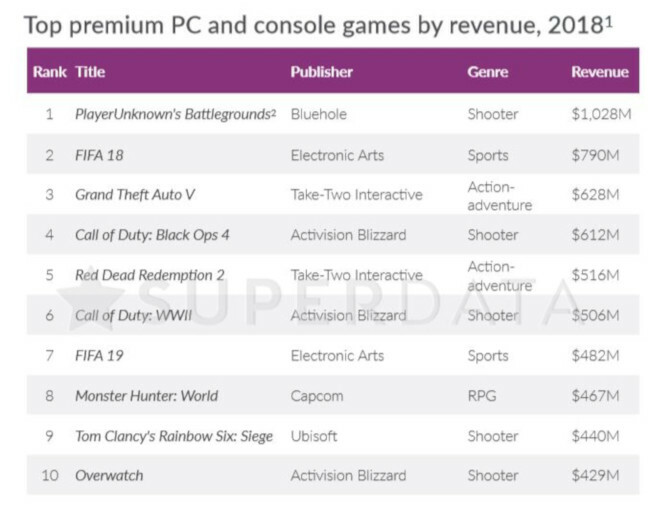 Top premium PC and console games by revenue in 2018. Photo credit: SuperData. Another interesting observation by SuperData was their analysis of CoD:BO4’s Battle Royale mode, Black Out, which according to the company, had paid off for Blizzard. There has been an uptick in the total consumers of gaming video content (GVC), with SuperData estimating that the audience grew by 10% year-on-year, reaching $850m. Donations and channel subscriptions constituted 32% of al GVC revenue over the period. Another interesting metric was the strong clout of online videos, which influenced what 46% of all US PC & console gamers aged 25 or younger played. Fortnite has been cited as a great example whereby the company actively seeks to incentivize popular gamers to stream their sessions. Top Twitch channels in 2018 according to SuperData. Fortnite’s Ninjas has been cited as a successful example of a streamer, with Tyler Blevins (the legal name of the popular Fortnite player) managing to rake in $10 million in 2018. Popularized by Fortnite, cross-play seems to be one of the trends to be on the lookout for in 2019. According to 57% of Fortnite players, cross-play should be included in the gaming experience. Given the demand for the segment, even Sony has given up on restricting its games to the PlayStation platform and network alone, adding Rocket League as a cross-play option just recently. SuperData has published its comprehensive analysis of the 2018 digital game market and associated interactive industry, citing interesting developments.